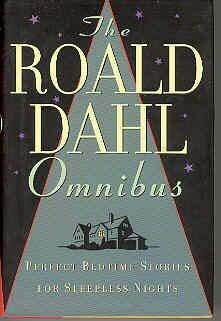 Ever since his stories first appeared, people have been telling and re-telling each other Roald Dahl's sometimes shocking and always brilliant and bizarre assortment of terror-tinted gems. Bawdy, funny, touching, and downright outrageous, there's simply no one else like Roald Dahl. This volume is a diabolical collection of 28 of Dahl's best stories. Shiver to classics like The Man From the South, Taste, Royal Jelly and The Great Switcheroo and hard-to-find gems like Poison, The Wish and Neck. It's the perfect remedy for a sleepless night. "The reader looking for sweetness, light, and subtle characterization will have to try another address. Tension is his business; give him a surprise denouement, and he'll give you a story leading up to it. His name in this instance is Roald Dahl. '' -- The New York Times Book Review.